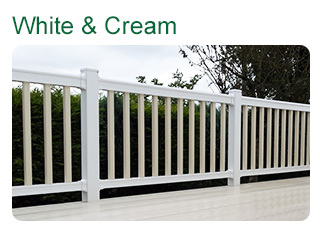 With a unique sculptured finish offering an ergonomic feel and attractive appearance, our balustrade system is available in 7 colours, including 4 foil wrapped finishes. 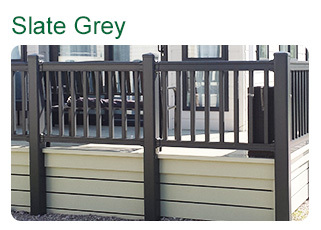 White, cream, putty, slate grey, forest green, golden oak and rosewood. 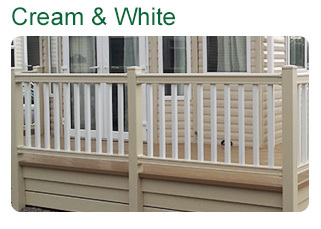 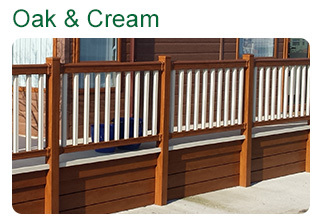 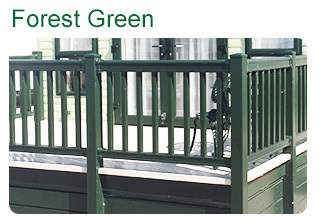 Allowing you a bespoke decking to compliment the colours of your holiday home. 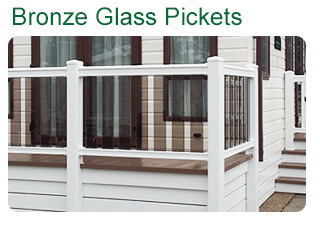 Choose sculptured shaped pickets in between the top and bottom rails – or even add glass pickets to give your decking area a truly contemporary appearance. 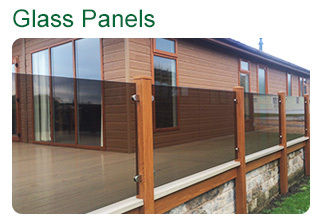 Alternatively, full glass panels add a touch of class to any deck. 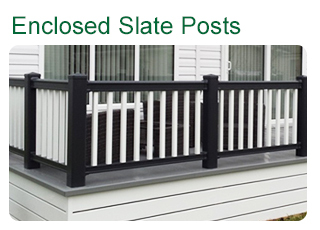 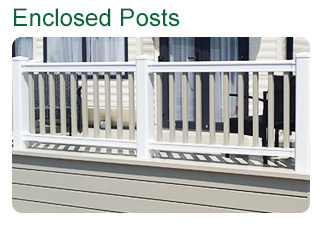 Post caps provide an attractive finish to each post, and if foiled balustrading is required you’ll be delighted to know that the caps are also foiled for a perfect finish.